Small form-factor pluggable (SFP) module is a hot-pluggable interface transceiver which links switches and routers to network. 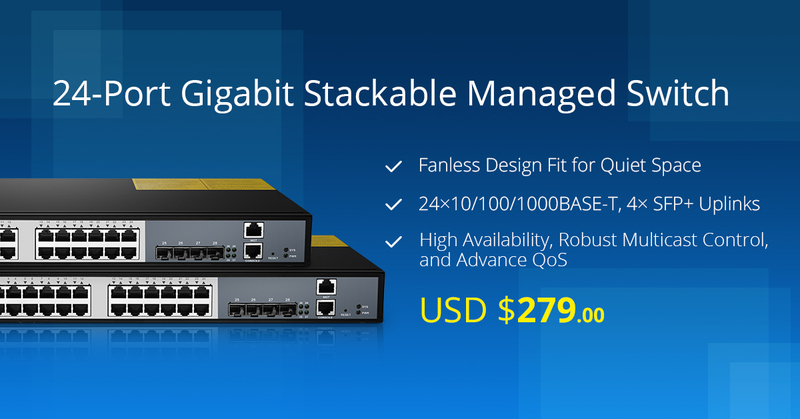 These small, modular optical interface transceivers offer a convenient and cost effective solution for the adoption of Gigabit Ethernet and Fibre Channel in data center. Cisco’s industry-standard SFPs can be used and interchanged on a wide variety of Cisco products and can be intermixed in combinations of IEEE 802.3z compliant 1000BaseSX, 1000BaseLX/LH, or 1000BaseZX interfaces on a port-by-port basis. Cisco SFP modules are commonly available in several different types: 1000BASE-T, 1000BASE-SX, 1000BASE-LX/LH, 1000BASE-EX, 1000BASE-ZX, and 1000BASE-BX-D/U. 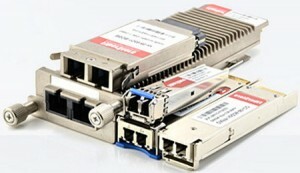 This post will give an introduction to Cisco single-mode SFP modules. Cisco 1G single-mode SFP modules consist of 1000BASE-LX/LH, 1000BASE-EX, 1000BASE-ZX, 1000BASE-BX-U, 1000BASE-BX-D, GLC-BX40-D-I, GLC-BX40-DA-I, GLC-BX40-U-I, GLC-BX80-D-I, and GLC-BX80-U-I. 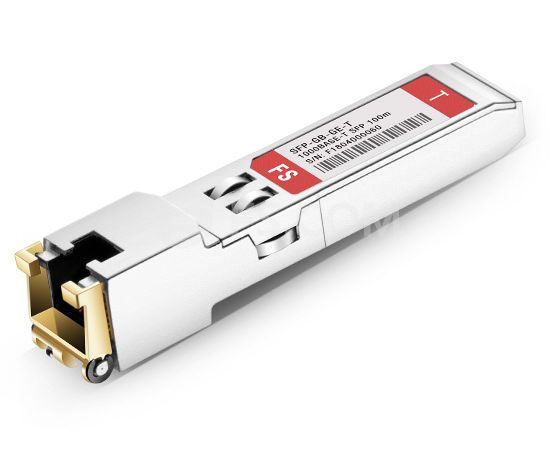 The 1000BASE-LX/LH SFP is compatible with the IEEE 802.3z 1000BASE-LX standard, functions on single-mode fiber-optic link and its transmission range can cover 550 m to 10 km on any multimode fibers. 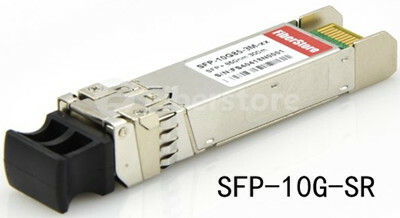 1000BASE-EX SFP functions on standard single-mode fiber-optic link with spanning up to 40 km in length. 1000BASE-ZX SFP functions on standard single-mode fiber-optic link and its transmission range reaches approximately 70 km in length. 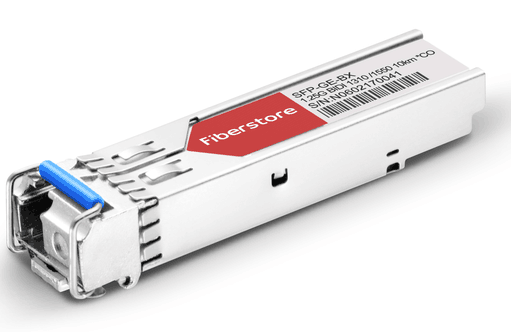 The 1000BASE-BX-D and 1000BASE-BX-U SFPs which are compatible with the IEEE 802.3ah 1000BASE-BX10-D and 1000BASE-BX10-U standards function on a single strand of standard SMF (Single-Mode Fiber) and its operating transmission range covers up to 10 km. The Cisco GLC-BX40-D-I, GLC-BX40-DA-I, and GLC-BX40-U-I SFPs also operate on a single strand of standard SMF and its transmission range can reach 40 km. A GLC-BX80-D-I and GLC-BX80-U-I device function on a single strand of standard SMF with an operating transmission range up to 80 km. 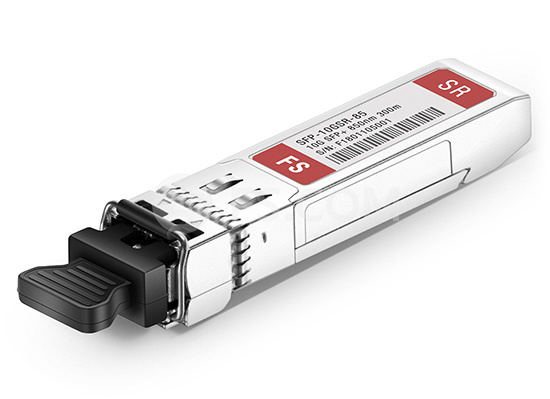 Another difference between these SFP modules is the transmission direction: 1000BASE-LX/LH, 1000BASE-EX and 1000BASE-ZX’ transmission is duplex while 1000BASE-BX-U, 1000BASE-BX-D, GLC-BX40-D-I, GLC-BX40-DA-I, GLC-BX40-U-I, GLC-BX80-D-I, and GLC-BX80-U-I’s transmission is simplex. One thing they have in common is that all these Cisco single-mode SFP modules adopt LC interfaces and Cisco SFP 1G transceivers can transmit optical signals through simplex or duplex LC patch cable. Cisco single-mode SFP modules feature a variety of different types of modules supporting different transmission ranges and direction, and they are also compatible with products of other categories. The hot-swappable input/output device directly plugs into an Ethernet SFP port of a Cisco switch, which maximizes uptime and simplifies serviceability when installing or replacing. The robust design enhances capability and the small factor features great density per chassis. Its flexibility of media and interface choice on a port-by-port basis bring you convenience. “Pay as you Populate” model lowers initial costs. It can support digital optical monitoring (DOM) capability for strong diagnostic capabilities. Cisco quality identification (ID) feature enables a Cisco platform to identify whether the module is certified and tested by Cisco and it can be interoperable with other IEEE-compliant 1000BASE interfaces where applicable. This post briefly introduces Cisco single-mode SFP modules, covering its definition, types of these SFPs and introduction of each type, and features and benefits of Cisco single-mode SFP modules. Now there are a number of modules for you to choose, but be sure to find the right one based just on your needs and at the same time take a few factors into consideration. 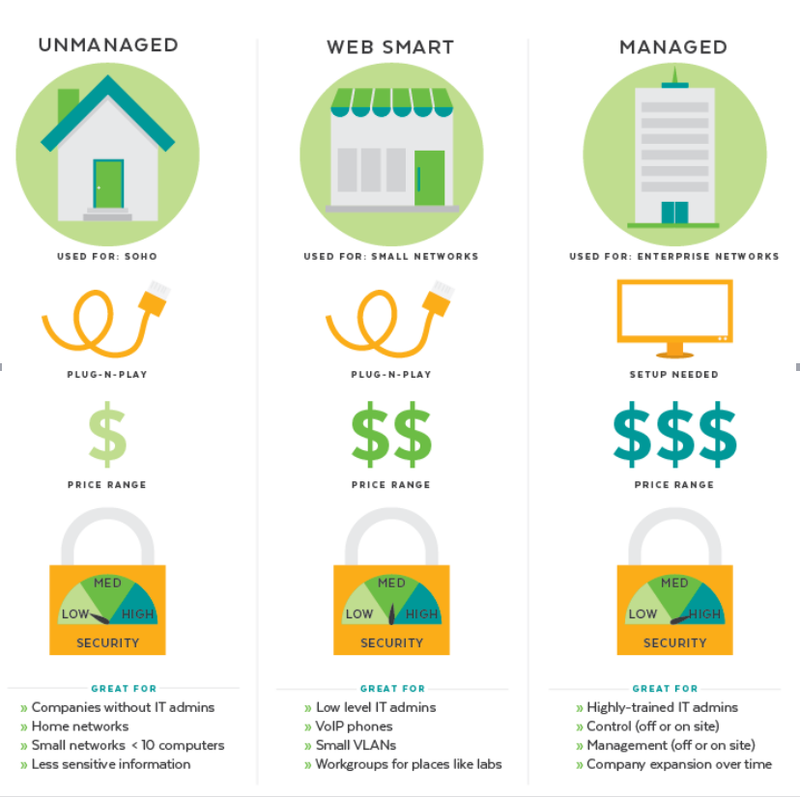 The increasing bandwidth demands in data centers call for new cost-effective network solutions that are able to provide great bandwidth and improved power efficiency. As such, direct attach cables (DACs) are designed to replace expensive fiber optic cables in some Ethernet applications, like choosing SFP+ DACs and QSFP+ DACs accordingly as 10 Gigabit Ethernet (GbE) and 40GbE cabling solutions to achieve high performance. How much do you know about this kind of cable? Do you know its such basic information as classifications? If not, then you can follow this article to understand DAC in depth based on the two main questions. Question 1: What Is DAC? 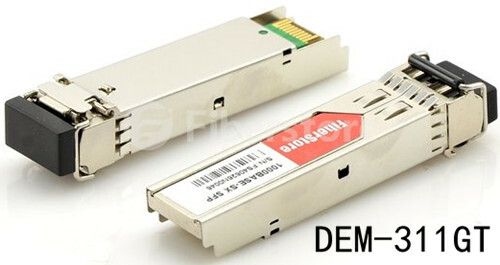 DAC, a kind of optical transceiver assembly, is a form of high speed cable with “transceivers” on either end used to connect switches to routers or servers. Often referred to as twin-ax, this direct attach twin-axial cable is very similar to coaxial cable, except for one additional copper conductor core. DACs are much cheaper than the regular optics, since the “transceivers” on both ends of DACs are not real optics and their components are without optical lasers. In some 10GbE and 40GbE infrastructures, DACs have been selected to replace fiber optic patch cord when the required link length is relatively short. And in storage area network, data center, and high-performance computing connectivity, DACs are preferable choice because of their low cost, low power consumption and high performances. Question 2: How DAC Is Classified? When it comes to DAC’s classifications, there exist two primary standards: Ethernet transmission rate, material of cables. 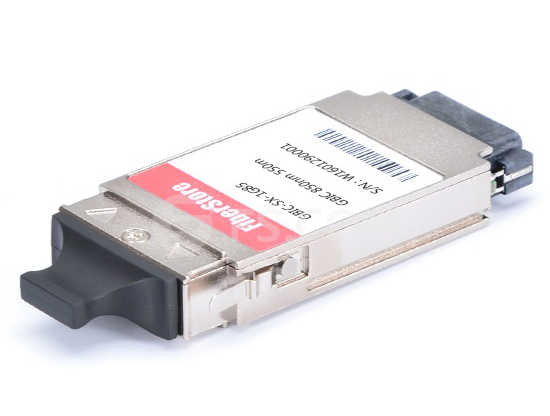 Based on Ethernet transmission rate and construction standard, 10G SFP+ DACs, 40G QSFP+ DACs, and 120G CXP+ DACs are all available, meaning that DAC can be used as transmission medium for 10GbE, 40GbE, and 120GbE applications when combined as transceivers. Typical DAC assemblies have one connector on each end of the cable. Take SFP-10G-AOC1M for example, this Cisco compatible SFP+ to SFP+ Direct-Attach Active Optical Cable assembly has one SFP+ connector on each end of the cable, designed for relatively short reach that is 1m. According to material of cables used, DACs are available in direct attach copper cables and active optical cables (AOCs). Direct attach copper cables are designed in either active or passive versions, providing flexibility with a choice of 1-, 3-, 5-, 7-, and 10-meter lengths. 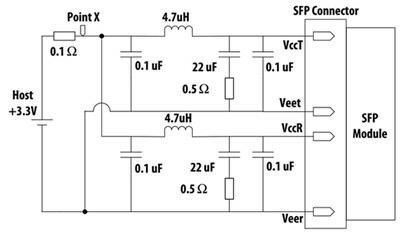 The former provides signal processing electronics to avoid signal issue, thus to improve signal quality. What’s more, the former can transmit data over a longer distance than the latter which offers a direct electrical connection between corresponding cable ends. Both direct attach passive copper cables and direct attach active copper cables have gained popularity in data centers. 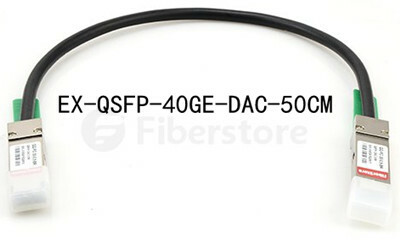 For instance, EX-QSFP-40GE-DAC-50CM, the Juniper 40G cabling product, hot-removable and hot-insertable, is the QSFP+ to QSFP+ direct attach passive copper cable assembly, really suitable for short distances of up to 0.5m(1.6ft), appropriate for highly cost-effective networking connectivity within a rack and between adjacent racks. AOC is also one form of DAC. It uses electrical-to-optical conversion on the cable ends to improve speed and distance performance of the cable while mating with electrical interface standard. Compared with direct attach copper cable, its smaller size, electromagnetic interference immunity, lower interconnection loss and longer transmission distance make it popular among consumers. DACs offer great flexibility in cabling length choices, simplify server connectivity in top-of-rack deployments, and reduce the power needed to transmit data. More importantly, DACs ensure high system reliability after going through rigorous qualification and certification testing, helping network designers to achieve new levels of infrastructure consolidation while expanding application and service capabilities. DACs are able to provide an end-to-end solution that is easy to maintain, thus helping improve the availability of networks that support mission-critical applications. 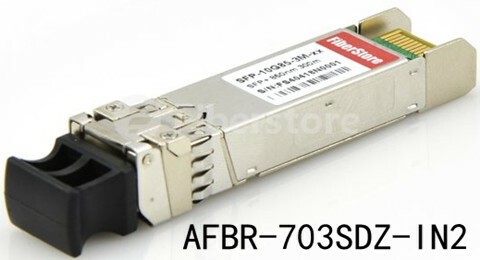 Fiberstore offers a broad selection of DACs with high quality for state-of art performance, 10G SFP+ DACs, 40G QSFP+ DACs, and 120G CXP+ DACs all included. For more information about DACs, you can visit Fiberstore.